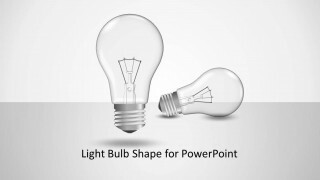 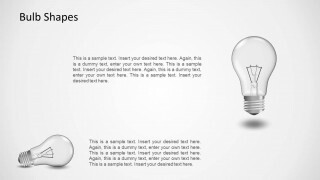 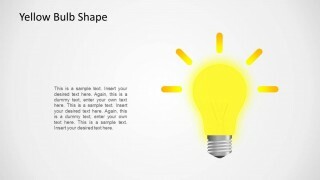 Light Bulb Shape for PowerPoint is a presentation template with light bulb themed slides. 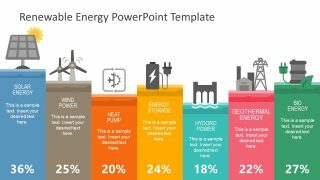 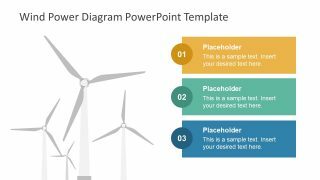 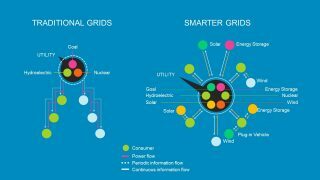 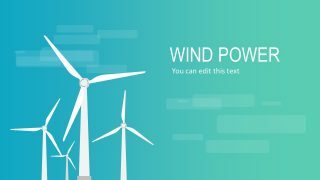 You can use this template for presenting your bright idea or to create presentations on a wide range of topics, such as energy, electricity, global warming and a variety of other topics. 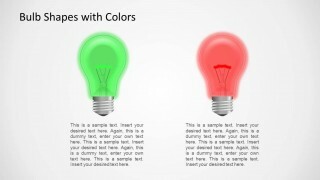 The template features glowing bulbs in different colors, as well as bulbs which appear to be switched off. 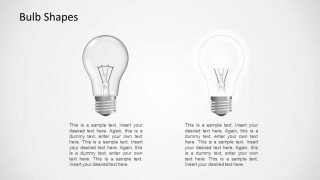 This gives ample scope to create presentations with different perspectives, explained using different light bulb images.